In “Edgelanders” by JenniferMelzer, Lorelei is thrust out of her sheltered palace life by an arranged marriage that quickly turns into a run for her life. When she crosses the border into the Edgelands, her only thought is to escape the hounds out for her blood, but what she finds is a deep connection to the werewolf Edgelanders, their stag god, and their future. For one thing, her heart is bound by magic to Mad Finn the Reckless, a werewolf who lives up to his nickname, and whom the prophesies describe as her mate. As a princess, Lorelei never expected marriage to be a choice, but she held on to the thin hope that love would blossom later. Now her expectations are being turned inside out as she discovers a magic bond between her soul and another. How much of love is really a choice when your hearts beat as one? If Lorelei wants to give in to love, she must find the strength to trust again after betrayal has made her heart skittish. The betrayals started before Lorelei was even born, and now that the lies are beginning to unravel, she finds herself launched on a quest of self-discovery that will determine not only her own fate, but the fate of the mate she never asked for – oh, and let's not forget the fate of the world. 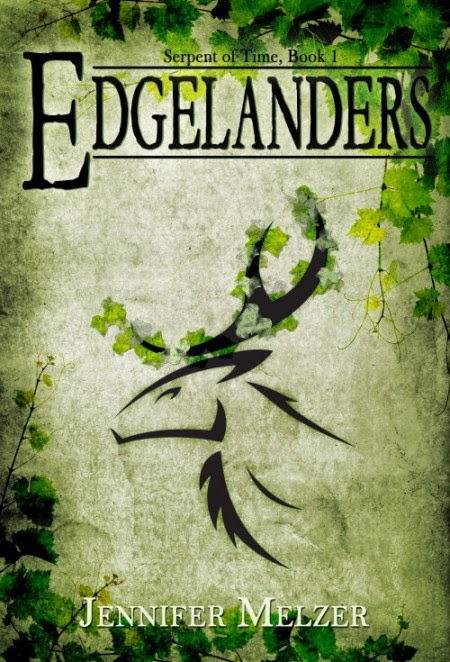 With intense themes of consent and trust, detailed mythologies, and powerful imagery,“Edgelanders”by Jennifer Melzer is a gorgeous blend of epic fantasy and romance in what promises to be a riveting, heart-pumping series.